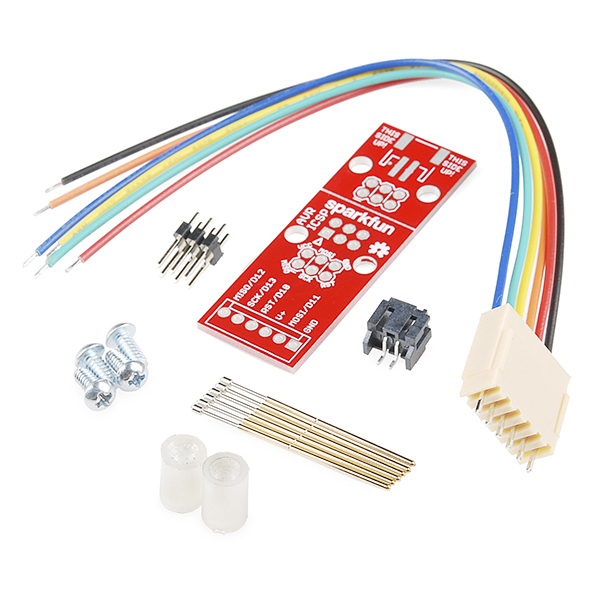 I would like to know if the MOLEX connector has the same pin spacing as a standard breadboard/arduino pro mini. If it does then I am ordering 3 of them. a) One (1) for standard/intended use b) Two (2) boards being re-purposed for use with an FTDI connector for programming arduino pro minis. Please let me know if this is the wrong way to re-purpose the boards to make a pogo interface between an FTDI serial interface & an arduino pro mini. Biggest pain here is my lack of a drill-press. a) I need two (2) boards, one for the top, one for the bottom. I will be throwing away the small board that gets snapped off, as well as the extra spacers an the extra molex connector. c) I use the "tape trick" on the top board (see assembly instructions) to serve as a stopper for the pogo pins. I then assemble the top and bottom boards using the 3/8" plastic standoffs with screws. If necessary, as a source of temporary stability, place another 3/8" spacer near the spot where the pogo pins will be placed to act as a temporary support. d) now I insert the pogo pins and solder them in place on the bottom board. e) now I remove the tape and solder the pogo pins to the top board. Remove any temporary spacers. g) program arduino pro mini. Please let me know if this is the right way to make an FTDI pogo interface for an arduino pro mini. This definitely beats my "extra-long pins in a 6-pin IDC connector & hope it works" solution. 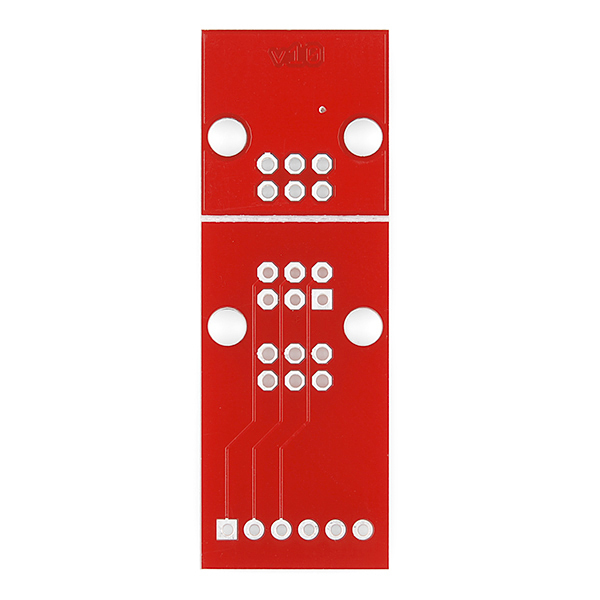 I'd love to see an FTDI version of this for the Pro Mini and similar boards, too. I agree. I'm going to try to program some pro minis this way and see how well it works. Best product ever. EVER. Buying two right now. Is there any hope for a 10-pin JTAG programmer in the future? Not at the moment, I'm afraid. You could put your own together for a few bucks- the little protoboards we sell fit the pogo pins quite well. 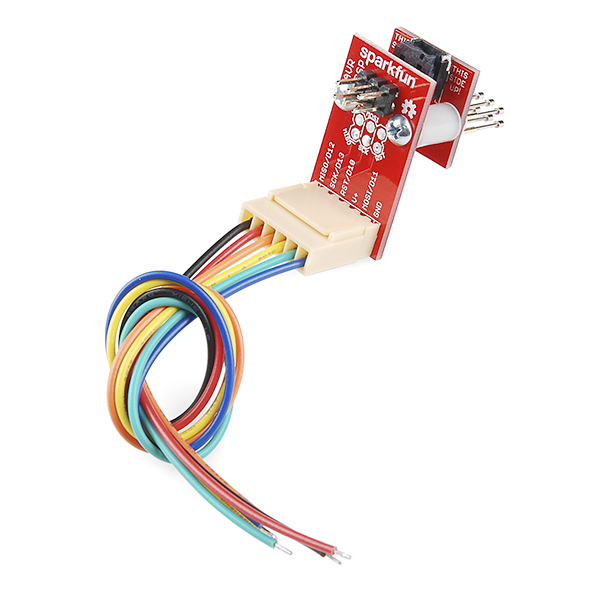 Well, most programmers that one might like to use with this already come with the 2x3 cable; we included the 1x6 cable to make it easy to interface this with an Arduino by fitting the wires into the appropriate headers. 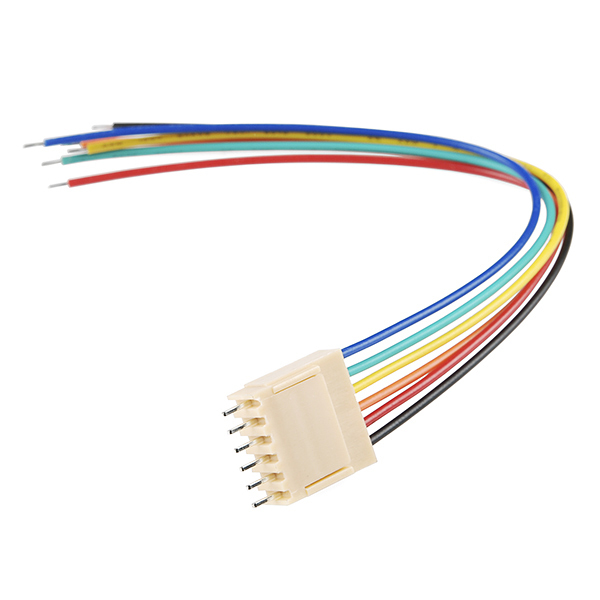 We do carry the 2x3 IDC connectors and the 6-conductor ribbon cable one would need to make a cable; it would be difficult for us to offer the completed cable for less than the $1.45 that two connectors and a 3' piece of cable costs. OK, got it, built it, now how to I use it to reprogram a LilyTiny? For those that want another solution or need a different pin configuration, you can just use a 0.040 drill bit to drill out a standard female IDC connector (6pin, 10pin, inline, etc. - whatever ISP footprint you use there is a connector with the right pattern assuming a 0.1" spacing) and then press the pogo pins in. This is a 15 minute project assuming you have the cable you want to modify and including time to find your tools and put them away. I used the bit in a pin vise and just turned it by hand. You can feel when the bit hits the metal contacts. Very little plastic is removed and you may be able to skip the drilling step. Drilling made pressing the pins in easier and they are held very tightly. You may need to bend them a bit afterward to get them nice and straight but it is really easy. I also used polymorph to make a nice comfy finger pad for pressing the new connector onto the board. If you are using a non-standard spacing then you can bend the pins to, e.g., the smaller footprint. Here are some pictures of one I made tonight. Heh. i built myself a pogo isp header last year using some of your pogo-pins and a pair of ISP Breakout/converter boards. i made it to upgrade the firmware of the large serial LCD screen backpack which really needed the upgrade (was not one of the better works). its nice to see a old idea made into a kit. i still use mine to save on header pins...i go trough them like crazy! awesome that you are carrying a kit for those.that haven't tought of it. its very easy to make a pogo header by using 2 PCBs for allignement which you do. You might also be pleased to know that I just finished re-writing the Graphic LCD backpack code. Should be something up about that in the near future- I'd guess on a Friday project post, maybe? Good product idea but the holes for the pogo pin on the PCB is too big. Its making pins out of alignment. Can you please make the holes smaller on the next revision. Ok, 10 bucks more is the price to bring back to live my LilyTiny without getting crazy. Anyway, nice longterm solution. Complete set of usage options. Did you guys get the idea for this from the guy who made LED cards for his wedding? 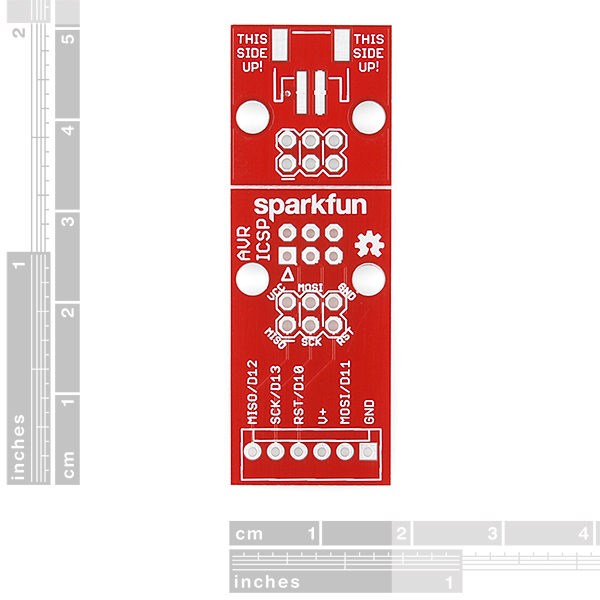 No, I just found myself making basically this exact thing about once every six months (as you might imagine, being an engineer at SparkFun entails programming a lot of boards), and figured people might find it useful. It's especially nice for boards that you don't want a header sticking out of, like LilyPad boards. Nice! 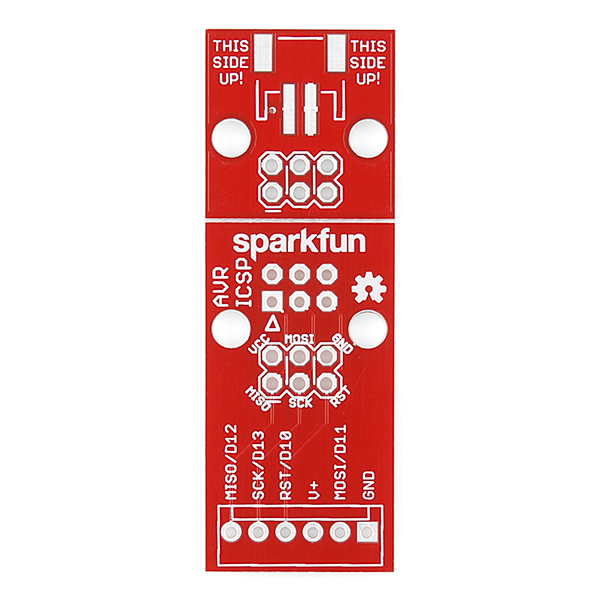 There's been various questions in the past about how to reprogram a particular board, which usually leads to pointing out the ISP pins and then explanations of how you might hook something up to them (especially when it should be a temporary connection) - this will be a great product to link to. This device makes programming many boards in a hurry a piece of cake! And it's so easy to build!